Truth is, Mike Whitney's article here gives crucial information as to the state of the Canadian housing market and prospects for the future. It is not a pretty sight. Keep in mind, that the Canadian government guarantees 100% of roughly $640 billion in mortgages under the Canada Mortgage and Housing Corporation (CMHC). (which is another lamebrain idea by the shifty Finance Minister Flaherty) Eventually, a large percentage of these mortgages will default, which will send foreclosures skyrocketing, boost unemployment, push down prices, widen the deficits and set the stage for the kind of vicious "reforms" that right-wing budget hawks and austerity nutjobs love. Here is an example of a house sale that is being driven by greed. The house was purchased here in Las Vegas for $142,000 in April of this year and is being flipped for $239,000 as we observed driving by a few days ago. It is still April! This is just a blowout of everything we know about historical house appreciation and is a bubble price based upon the Zestimate found here. That Zestimate is $162,00. That is a bit of a bubble itself but is blown away by the asking price. The folks living here are not going to buy this house, most likely, unless they think this bubble can be sustained. There are empty houses in this complex. They are sitting there not available for sale. The comps are being busted by flippers. And if a Wall Street guy wants to raise the comps on the slew of houses he already owns he just has to offer this price on this house to do so. Is Joe Weisenthal admitting that commodity inflation is a bad thing, therefore, speculation is a bad thing and the high cost of living is killing recovery? I think he is close. This is a sea change for Joe, who was wanting nominal GDP and even more speculation. Or maybe Joe throws stuff against the wall and hope things stick. I don't know, I just don't know. This house price is a joke. Even Zillow puffed up estimate is 274k. They want 344k for a house that needs a pool that was resurfaced! And the house needs work! Zillow lists the house as sold in 2001 for 235k. It probably went for near 400k at the peak of the bubble. Since there is no record of sale during the bubble the owners may have taken helocs and become seriously underwaters. Now we have an investor driven new bubble that is unsustainable. No sane regular person will buy this house for this price. There are empty houses her all over the place. I live in this neighborhood! This is all because Fannie and Freddie don't require appraisals for Homepath homes and are quasi government agencies helping to jack up the price of houses. But if an investor buys this house he is risking a big takedown. The cost of borrowing does not increase in Japan where debt is 200 percent of GDP. The only time borrowing increases is if countries are tied to the Euro. The PIIGS nations should get out of the Euro or Germany, who benefits from all this until her customers are impoverished, should get out. I will never forget the day that Henry Blodget, owner of Business Insider financial website posted in the comment section that the banks did nothing criminal in the financial crisis. Of course, it is pretty obvious that the banks did illegal deeds in distributing fraudulent AAA mortgage backed securities throughout the world. But now we have a law enacted in 1989 to punish the Savings and Loans in the S & L scandal. Of course, because fraud on Wall Street is not criminal even though the same fraud would be criminal anywhere else, there is only the ability to file a civil lawsuit against the bankers. So I guess Blodget is technically right, even though it should be a crime to commit these massive financial frauds. And it would be anywhere else but on Wall Street. While I always knew Business Insider would eventually be brought back into the fold, after allowing me and others to attack the banks for their evil deeds, they have completely sold out to big finance and big power in these two articles. I cannot aggregate these articles in the title of this post because it is simply too nauseating. In a word, Henry Blodget, you make me sick. The first article takes the view that hedge funds take it as a badge of honor that teachers unions are fighting back. But the truth is, it is a badge of shame and dishonor. The hedge funds are heavily invested in charter schools and are paying a lot of money to kill teachers' unions. This is simply another attack on the middle class. This is just chipping away so that big finance has even more power and greed. It is nauseating. The title of Julia's work tells it all. Paul Krugman is full of crap. He understands some symptoms of problems, and has some solutions. But what he wants is inflation and that has not worked so well lately. This blog post is a very interesting read. But there are chinks in the Krugman armor as well. 1. We do have massively tight money on main street. We have people not buying jewelry, etc. 2. I agree that stimulus should go to main street. But this is where I disagree, that inflation in wages should be the goal. That seems to me to be a problem. Remember, in 2002 Krugman called for a housing bubble. So that is a problem. His solutions are very dangerous. If you look at these charts, especially the second one, you can see that the price of housing, and therefore the commodities that go to making houses including land and materials, is massively overpriced. But he has not won and here is why: Stimulus if applied incorrectly makes things worse. Stimulus in an age of little regulation of commodity futures speculation will raise, not lower, the cost of living. Keynesianism worked in the Great Depression because there were regulations limiting commodity speculation. That does not exist today. While it may be true that there is a case against Lance Armstrong for being unjustly enriched, to bring this case while the bankers were unjustly enriched beyond Armstrong's wildest fantasies is just pathetic. The Justice Department is just pathetic. I am ashamed to be an American because their is no justice against the bankers for unjustly enriching themselves by way of the ponzi housing bubble. It was premeditated and wrong. It was RICO fraud and yet no one was prosecuted for unjustly enriching themselves. What a joke of a government we have. See my article proving the housing bubble was a fraud. Flash PMI dropped in the US down to 52 in April, from 54.6 in March. China dropped to 50 by the way, so that with Europe not growing, the world economies are slowing down. Too much deregulation in commodity speculation is forcing QE into the wrong place, away from helping main street and toward helping the investment banks and their cronies. Turns out February new home sales were revised and dropped a whopping 7.6 percent instead of the 4.6 percent drop previously reported. So this little blip up is a not significant. RE sales are slowing. Here is just another article with good links, showing that the investor driven house buying binge is Wall Street driven, which means it is a scam. Thanks Bernanke for the scam. NOT. Now here is an article about one suspect dropping his backpack and a video that proves it. Only problem is that there is no video in that article! Report: Russian Officials Warned FBI Alleged Boston Marathon Bomber Was a "Radical"
According to a congressional aide with ties to the Boston Marathon, he seemed to not be happy with the FBI. It looks like the FBI interviewed the older brother and family in 2011. But then, he went to Russia in 2012 and the FBI was warned in 2012, and did nothing. So, when the FBI looked into the case and closed it in 2011, the agency cannot just say that absolved them of responsibility. All this means is that the Eurozone will have the power to shut down all Eurozone banks except the German banks. Germany will rule the Eurozone. The Germans finally are winning WW2. The Germans have decided, I think, to defeat the surrounding lackeys by the rule of law, or at least the rule of their will, without making war. I suppose that is an improvement, but I wonder how long France and Italy can bow down to this manifestation of German power. Update: Henry Blodget of Business Insider did step up and question why the FBI dropped the ball now that revelations of their interviews of the family are public. Looks like mom was not so crazy after all. And if mom is telling the truth, she was interviewed 5 years ago. Something is fishy. The FBI dropped the ball, but was it negligence or on purpose? Anyway, here is the article from Blodget. Update: It has been brought to my attention that some of the statements of the mother seemed to be a bit nutty. At some point, after this is all over, the FBI will have to produce the photo showing one of the boys dumping his backpack into the trash. Supposedly they have that picture. Perhaps it is evidence now, but in the future it must be released. We are still waiting for the Pentagon tapes to be released regarding 911. It is amazing that our big corporations do not rebel against the big banks and condemn the speculation that drives up prices for goods like food and gasoline. These corporations have a lot to lose because of the bad behavior of the bankers. And this revenue miss is an example of financial weakness caused by the speculating bankers and their cronies. 1. Continue with austerity and hope things turn around. 2. Do more QE type money printing and let it all go to the wealthy in commodity speculation. 3. Pass regulation that would require regulation of speculation so that the banks would invest more in the nation. 4. Just give money to the people, as the money in the financial system is not helping main street. Eventually that kills an economy. I would like to see a little of 3 and 4, before 2 is attempted again. Bankers have embedded interest rate swaps into municipal bond contracts. Isn't that great America? Not!! 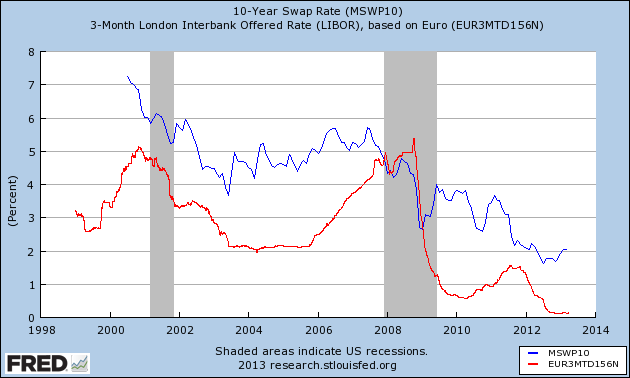 These swaps were a scam, and in the UK the banksters are forced to settle but in the US no such thing is permitted. What a scam! Here also is my article about the settlements in the UK. BTW, this is the only NY Times columnist with balls, and it is a woman! Step up you cowardly men like Sorkin and the rest. Barry says, and I agree, that the bulk of the subprime loans were written by non CRA banks. That is, of course true. 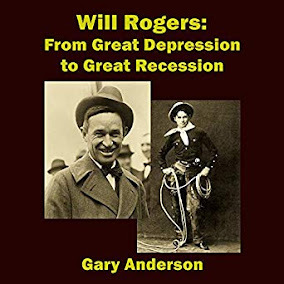 He points out an interesting point: No CRA banks imploded with the financial meltdown. Of course you can't forget the chart I used as further proof. I came to my conclusions based upon the chart, and Ritholtz came to the same conclusion, that the CRA was not the catalyst for the housing bubble. While there was a CRA mini bubble, by itself it would have gone nowhere. Massive cuts to retirees on private pension plans would be a bad idea. It is one thing to change things for new hires, but they want to massively cut current pensions to folks who need the money. If the stock market crashes again, and it very well could, this problem could get much worse. Companies and workers must contribute more to the pension plans. That seems like a no brainer to me. Notice, that the banks in the UK failed to evaluate customers understanding of risk. That could apply to our housing bubble and swaps here. Why aren't the regulators doing the right thing here. Failing to evaluate customers understanding of risk should be RICO fraud and should be a crime. The Great UK #interestrateswaps Scam and What About the USA? Interest rate swaps at issue, were written between 2002 and 2010, and the banks took the low interest side of the swap, knowing that Bernanke and the swap market needing collateral would both force interest rates down. This, of course has killed corporations and governments that were forced, or sometimes volunteered to take the higher, fixed rate of the swap. As rates went down, the fixed rate that was supposed to protect against higher rates killed the counterparties. Governments are paying this tribute to the TBTF banks, and so are corporations. One of the reasons the large corporations are hoarding cash is to avoid these swaps! It hasn't dawned on Henry Blodget that the reason corporations are so reluctant to pay more or get rid of their cash is because they are forced to be their own banks. They can't trust the banks to help them if the economy turns down. The banks will just stop lending like before. So this is the problem with the banks, who engage in speculation in commodities futures, stocks and housing, cause bubbles and then pull back on lending. It doesn't have to be this way. But the laws of the nation encourage speculation by Goldman Sachs and others. In societies that are sound, like Japan, this sort of speculation does not happen as much as it does in the US. The investment banks are the enemies of the people, in my opinion. They force companies to hold back on wages because the investment banks, who have a commercial arm as well, simply cannot be trusted to lend when things go bad. I have been saying for many years that the Fed releases hot money, that goes into commodities and into housing appreciation. This ultimately hurts the young and the commodity inflation hurts everyone in the grocery store, at the gas pump, etc. The stock market can be a bubble in this scenario. With the Fed issuing money, QE spawned "risk on", which is a Fed euphemism for speculation. This article says that the Japanese will invest in safer ways, but we will see if they do, to help the nation or if they will be greedy like US private equity firms, hedge funds and investment banks like Goldman Sachs and JP Morgan. So, if we use the Japanese model to show what would happen in the U.S., I don't think that Ben Bernanke worries about inflation. I don't think he will allow MainStreet to be flooded with money. And certainly, while this will hurt the people, it will keep the system going for a long, long time. American debt is denominated in dollars, so that the appreciation or depreciation of other currencies has no effect on U.S. debt. Japan is like the U.S., in that Japan won't run out of money. And those who fear hyperinflation in the U.S. can look at Japan and think no hyperinflation. Buying gold to hedge against inflation is almost a scam under this scenario. Gold is pretty. Gold is collateral, not quite perfect. But as a hedge against inflation, it isn't needed! Based upon this article, governments should pull their money out of the TBTF banks immediately, because those banks could go under and depositors would have to pay. It could wipe out pensions, all government budgets and at that point the govenment should have to kill the bankers, but they won't. This is a must read article. It proves that the banks and the big companies like Blackstone are in business to make subprime loans and cause lots of problems in society. These loans have a difficulty for the borrowers to pay back. The interest rate are too high, coupled with a small down payment that makes the payments higher as well. This easy money is similar to, but smaller in scale than the easy money that fueled the housing bubble. The truth is, Reagan was not as great a man as we all thought, including me. Thanks to Reagan, adjustable, interest only and option arm loans were permitted. What a guy! Not! Margaret Thatcher deregulated banking in England. There was no Glass-Steagall. There was nothing to stop the derivatives that resulted, the housing bubbles and bank fraud that happened in the UK and in the USA. Thatcherism was a blueprint to overturn all that was gained in the Great Depression. 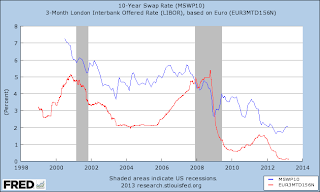 Thanks to Thatcherism, interest rate swaps rule the world and keep the people from experiencing true prosperity. Thanks to Thatcherism, the banks can force borrowers to buy protection, the high fixed interest rate swap to battle the interest rate rise that will never come. Here is how it works, and remember, I am on the outside looking in. Either the banks, in this environment of derivative weapons of mass destruction, can keep interest rates low forever, or they can sell enough toxic easy money loans to offset interest rate swap losses as interest rates rise. This is a good primer on interest rate swaps, with the understanding that now banks force counterparties to take a swap. All the banks have taken the low interest bets and take the floating rates and give the counterparties the fixed, higher rate. This is "protection" sold to the counterparties desperate for loans. Without the loans they can't make payroll or whatever. So they are forced to take the swaps. So the banks are on one side of the trade, and Bernanke will follow a slow growth policy, and Europe will follow a no growth policy, to keep this game going. And it could continue for a long, long time, unless some unforseen risk, a black swan, gets in the way. It is unlikely though. First, the low interest rate regime started by Alan Greenspan is here to stay. So, savers are affected as they invest but get no return unless they take massive risk in the stock market. The interest rate paid to savers is not fair. But the banks would go under if they had to pay much more. This cannot change because the banks have so many bets that the interest rates will not go up that they would be wiped out if the rates went up. It is a casino, but at the level of the interest rate swap, it is a rigged casino. The Fed does not, at this point, have to steal depositors money like in Cyprus. However this could happen in the future and Bernanke said it was "unlikely'. That means it could happen. But for now only fair interest rate returns are being stolen. I warned people about gold. Now it is dropping like, well, the rock that it is. There is value in gold, but leveraged value is not true value. Gold is volatile and is good but not pristine collateral. The need for collateral is so large, in the interest rate swap trade, that there isn't enough gold in the world to back these trades. The Tequila Crisis was an attack on consumers. Now consumers are being attacked in Europe. They are being attacked in the US with low paying jobs versus a cash bubble in real estate. What affect will this have on rents and will this cause mass homelessness or multigenerational living? People are postponing families and the birth rate is declining, all so the banks can make some money. This is getting to be a very dangerous state of affairs that is an unsustainable business model. And Bernanke must know this. Bank of America is despised for its mortgage division. But savings deposits are not very safe, since derivatives are first in line for any FDIC insurance payouts. They are 65 trillion dollars leaving no money for any depositors. So, while it is unlikely that the derivatives go bust, there is always the possibility that they could. If interest rates were to rise, and it is unlikely, the derivatives would go bust, and the FDIC would pay the counterparties first, and those with FDIC insurance would likely lose. Those with more would likely see much of their savings wiped out. Again, the scenario is unlikely, but Bernanke treats bank depositors like crap for putting the derivatives first in line for the insurance. Just remember, when you deposit money in the bank, you are loaning the bank money, and technically, the money is not yours, but belongs to the bank as long as it is in the bank. Just FYI. Michelle Caruso-Cabrera joins the bond holders from Wall Street in wanting pensions to take less than legally required in Stockton. The reason why is so the bondholders can get more! This is Wall Street greedily wanting more. The law protects the pensions. The money has to come from the bondholders. The law is the law. The pensions did not send the city into bankruptcy. Truth is, the Wall Street creditors only want to negotiate the system if they cities hurt the pension funds The judge said that was not right! The judge let the city enter bankruptcy because the bondholders were holding the city hostage! Caruso-Cabrera lies in what she refuses to say, that she is on the side of the bondholders who are not negotiating in good faith because of their vendetta against the pension funds. The CNBC punditdoes not tell you that the bondholders want to be first in line for the assets of a bankrupt city and don't like playing second fiddle to a middle class bastion, the pension funds.